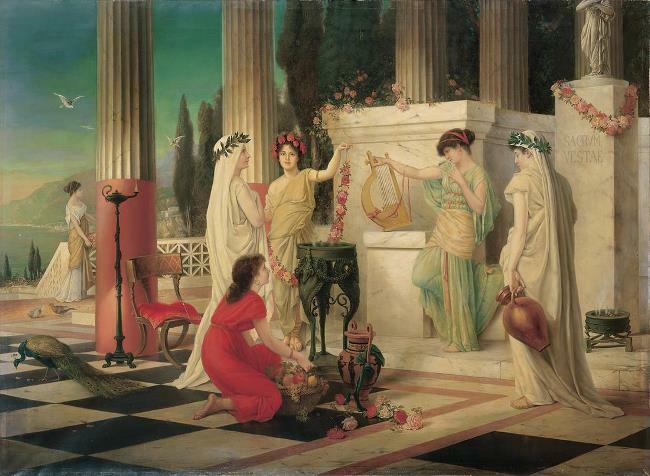 In Ancient Rome and Egypt, brides traditionally were draped in layers of white silk and linen. White was the color of celebration and joy. In a traditional Roman wedding the bride wore a softly pleated white robe as the symbol of purity and covered their heads with gold or silver veils as a sign of modesty. 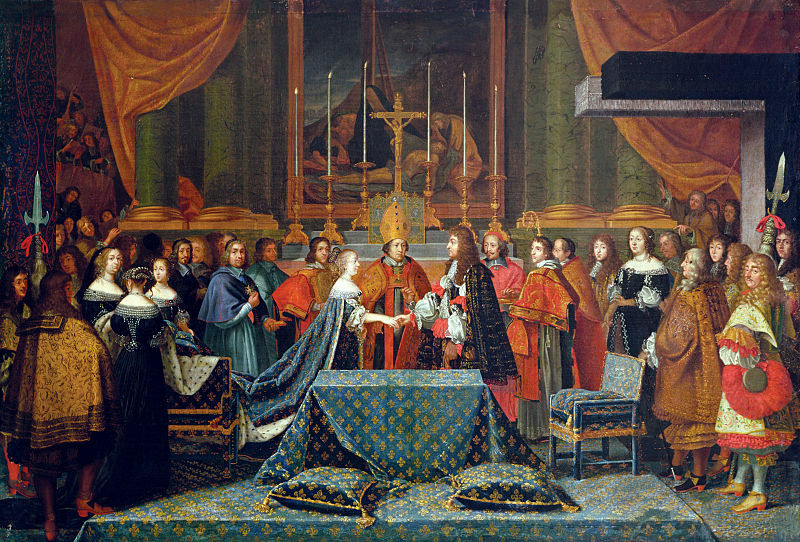 One of the first documented white wedding gowns was the gown Anne Brittany wore on her marriage to Luis XII of France in 1499. Not long after Margaret Tudor, the daughter of Henry VII was married in a white damask gown. Many wedding gowns of that period were embroidered with real silver and gold and precious stones. Throughout the eighteen-century and early nineteen-centaury royal brides choose luxurious fabrics in the tones of silver and red while commoners wore simple colours with floral patterns. 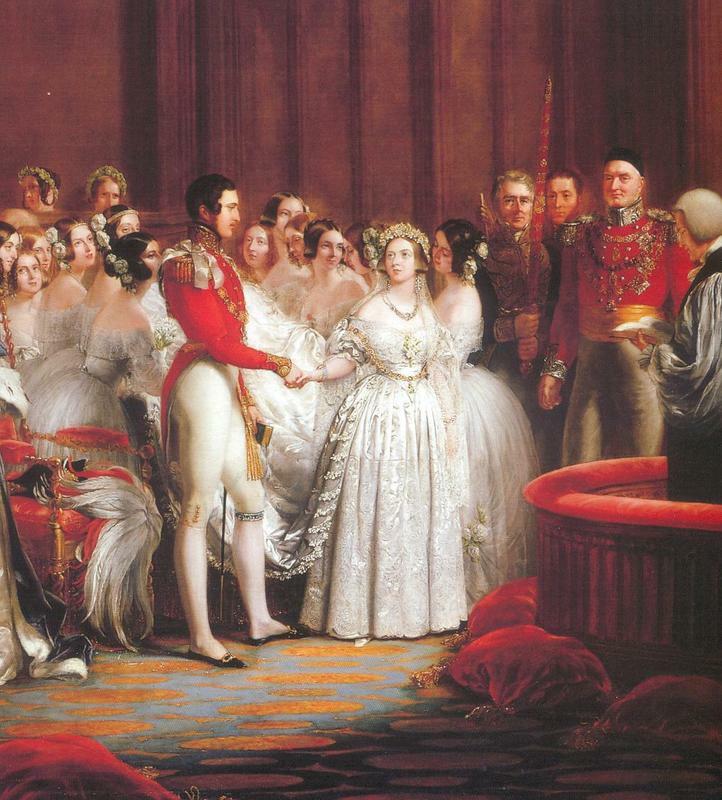 But Queen Victoria’s all white wedding gown which was adorned with orange blossoms was responsible for establishing white as the ideal colour for wedding dresses. 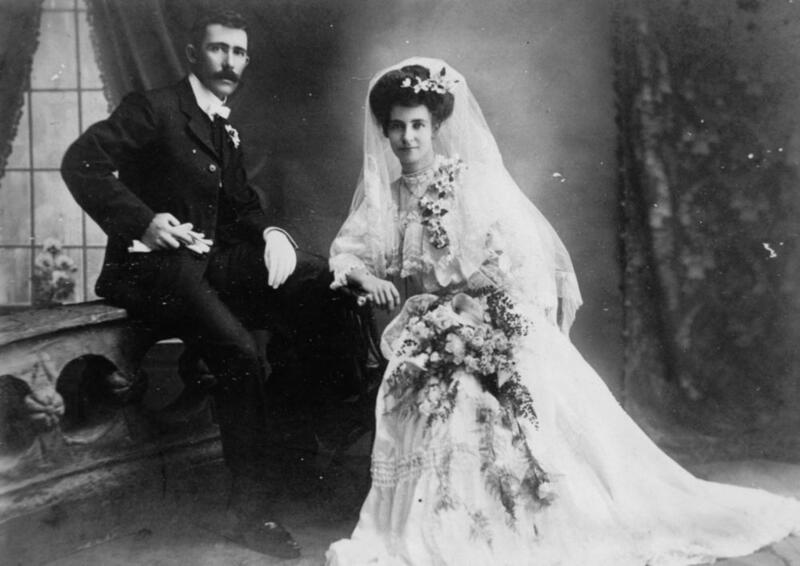 In the beginning of the 20th Century brides still had the pressure of the Victorian style gowns with long sleeves, high necklines and floor-length veils. For the first time clothing manufacturers produced ready-made wedding gowns for a socially conscious middle class. In 1914 when the World War I began all of this changed as more loosened silhouettes were on their way to liberate women from the constricting garments of the past. World War I changed the social fibre and altered the status of women in America who were fighting against their traditional roles. After the Nineteenth Amendment had given them the right to vote they started to celebrate their freedom by cutting their hair into flirty bobs, wearing shorter and looser dresses and abandoning the restrictive corsets. It was at that time that Coco Chanel and Jeanne Lanvin made their way to the top. 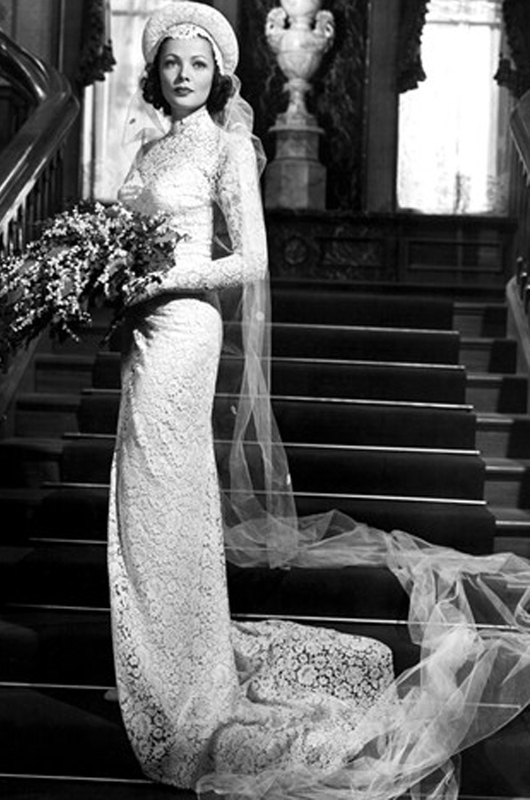 The first official knee-length wedding gown was introduced, though accompanied with a traditional full veil and court train becoming the most popular wedding dress style of that time. 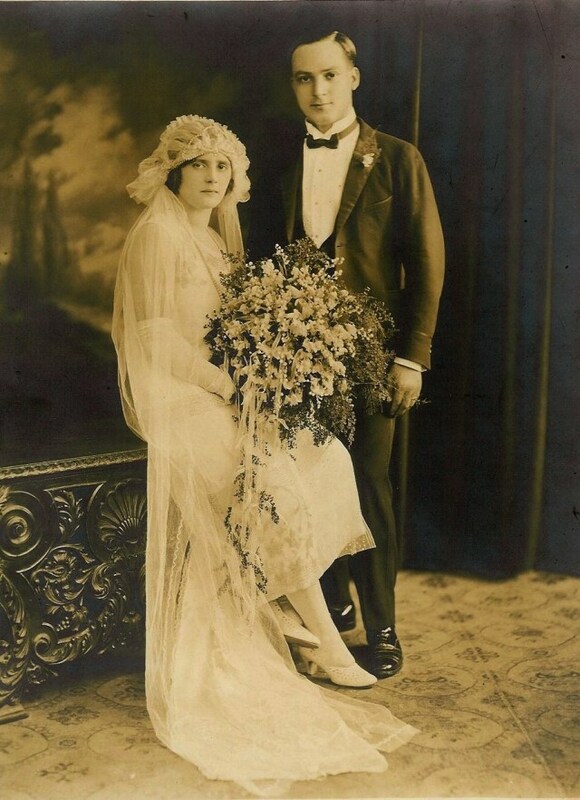 The great depression had a huge influence on the bridal fashion during the 1930s the elaborate knee-length gowns were replaced by slim, unadorned bias-cut floor-length silk dresses. American designers began to create modern, sleek and glamorous gowns as a result of the pudding stars of Hollywood’s film industry. Synthetic fabrics were introduced in 1938 and embraced by both designers and consumers for their lower cost and versatility. Not much longer the Depression was a thing of the past and brides started to appreciate lace and silk gowns with expensive embellishments. 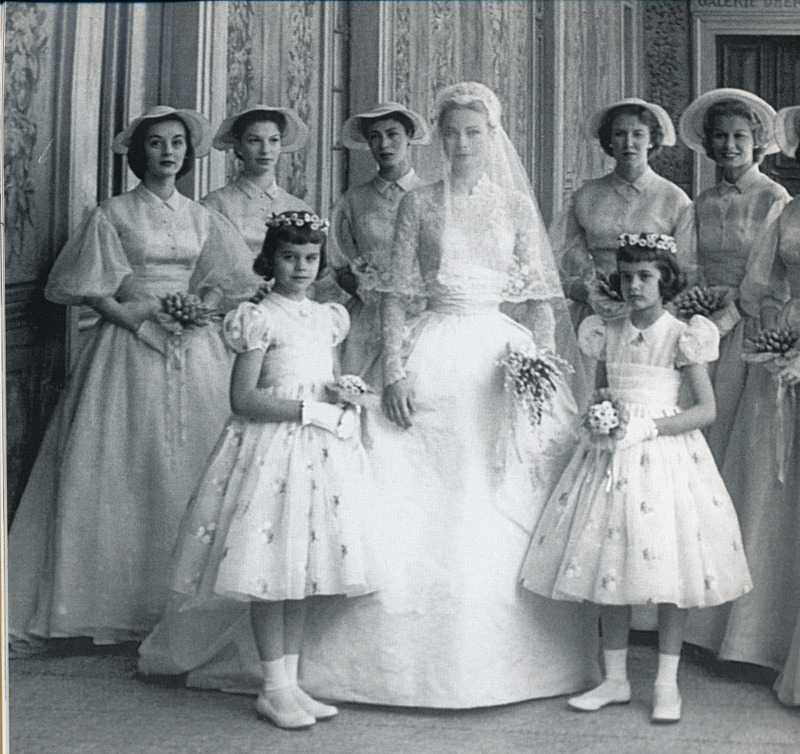 The strict rationing during the World War II affected fashion, including bridal gowns, leading to scarcity of all kinds of fabric. Since the engagements didn’t last long before the new husbands were sent abroad brides opted for their best suits or best street clothes as there was not much time to plan a proper wedding gown. 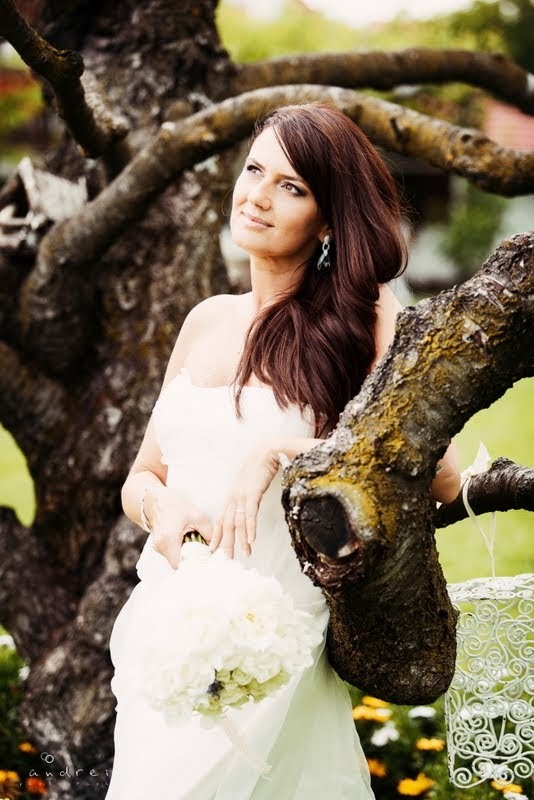 An alternative to the suit, for those who really wanted a traditional wedding gown was renting one. In 1950s, the post war years to come were times of celebration and prosperity. 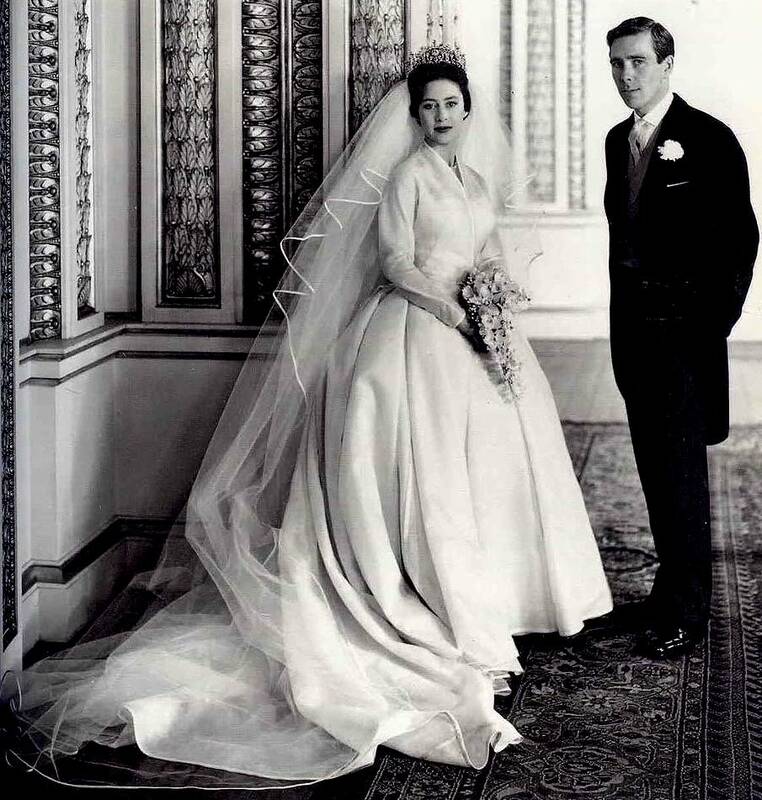 The 19th Century Cinderella bridal gown was reborn and wedding dresses became bigger and more elaborate than ever. Polyester became the post-war fashion phenomenon and designers started to crafting crinolines, bridal veils, and fabrics from still nylon net. The trend was marked silhouettes, defined waists and big skirts that was accessorised with a short veil. Among the Influential designers of the 50’s Balenciaga, Givenchy and Claire McCardell contributed most to the sophistication and elegance of that time. The most popular wedding gown styles for the 60s were the longer versions of the same full–skirt and fitted bodice of the 50s. 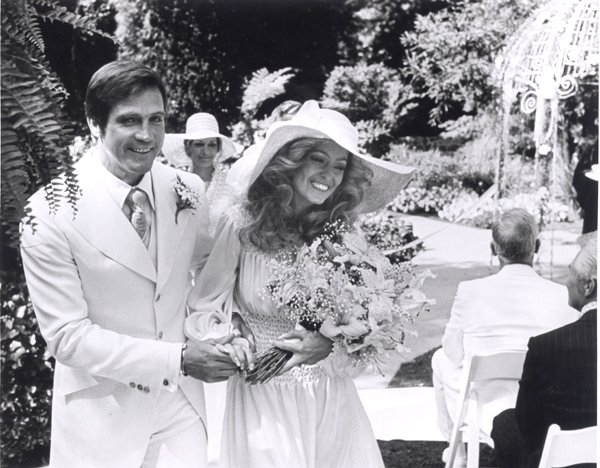 However towards the end of the decade the pro-peace, anti-war and pro-love young couples’ generation stepped out of the long-standing bridal traditions of their parents and celebrated their marriage with more simple ceremonies and brides wore cotton caftans and peasant smocks instead of tulle and lace. The newly liberated from the traditions of the 70’s woman for the first time choose what kind of bride they wanted to be. 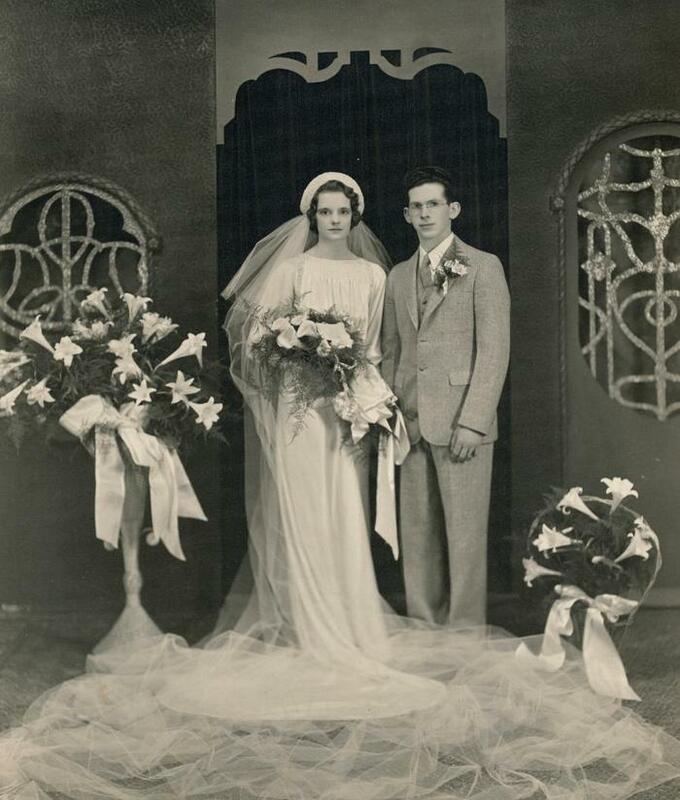 From lace and traditional ruffles, to miniskirts and even trousers, brides embraced their sexuality so much that even a white suit with an open jacket revealing skin became an acceptable bridal look. Not surprisingly, the big princess gown came back into style in the 80’s after Lady Diana Spencer married Prince Charles of England. 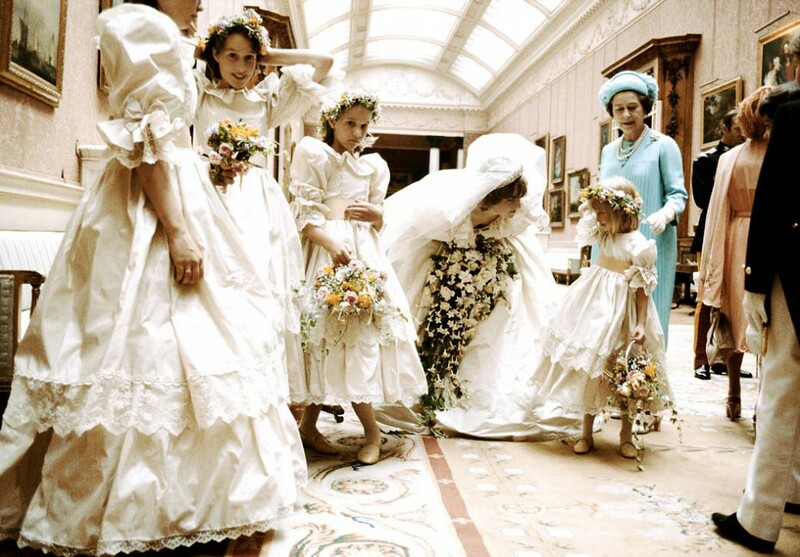 Princess Diana looked exquisite in a taffeta gown trimmed with thousands of pearls and sequins, antique lace and a vast twenty-five-foot train. Everyone wanted the royal gown bridal look with more layers and adornments. Bridal fashion nowadays can describe as a blend of old and new, of classic and modern where there’s something for every type of bride. 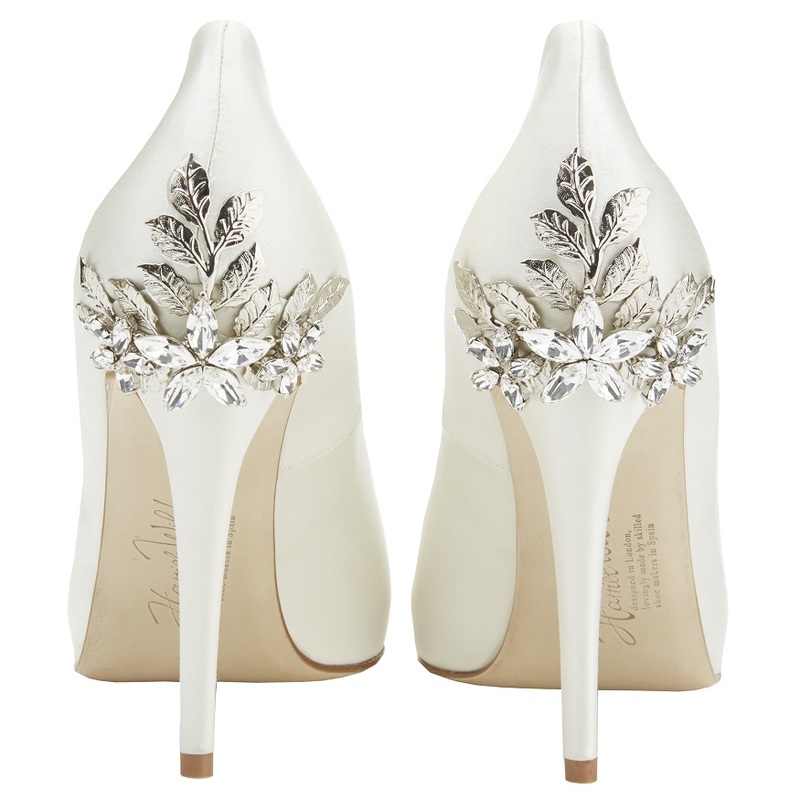 Fabrics are adorned with embroideries, sprinklings of colour, sparkling crystals, lace appliques, feathers or fur. The choices are endless.